Eighteen of Union County’s municipal police departments, the Union County Police Department, and the Union County Sheriff’s Office will be participating in National Night Out festivities next week as part of continuing efforts to strengthen ties between local law enforcement and the communities they serve, and the Union County Prosecutor’s Office and Union County Police Chiefs Association are together encouraging members of the public to attend and participate as well. National Night Out, sponsored by the National Association of Town Watch and now in its 33rd year, is a campaign through which millions of people across the country gather for outdoor activities on the first Tuesday of each August. An estimated 38 million people in approximately 16,000 towns in all 50 states and Puerto Rico took part in National Night Out last year, including residents of nearly 200 municipalities in New Jersey, according to the National Association of Town Watch. National Night Out events historically have been organized by neighborhood watch organizations, nonprofit groups, private companies, and other entities, in addition to municipalities. But Union County police chiefs said it’s important that police departments get directly involved and interact with members of the public. The Township will hold its National Night Out from 6-9 p.m. Tuesday, August 2 in the parking lot of Arthur L. Johnson High School, 365 Westfield Avenue. On display will be Township police, fire, and EMS vehicles, and members of the Union County Sheriff’s Office Identification Unit will be on hand to create photo displays for children. Also available will be information regarding programs that the Police Department offers to the community, such as a prescription drug drop box, the Explorer Program, and a residential security survey program. Complimentary hot dogs, Italian ice, and beverages will be available, along with giveaway prizes for children. National Night Out festivities will take place from 6-9 p.m. on Tuesday, August 2 in Patrolman Robert F. Hand Plaza and on the front lawn of the Cranford Police Department headquarters, 8 Springfield Avenue. Numerous police and emergency vehicles will be on display, as well as equipment from the Union County Office of Emergency Management and NJ Transit Police Department. Public safety personnel will be on hand to answer questions. A disc jockey, face painter, and magician will also be on site to provide entertainment for children and adults, and the local AAA, the Cranford Department of Recreation, PSE&G, and other organizations will be handing out literature and giveaways. In addition, Hands of Life Martial Arts of Garwood will be conducting free demonstrations. New this year will be a rock wall and bungee run, offered courtesy of generous donations made by PSE&G and the Cranford Municipal Alliance. For the eighth year in a row, a blood drive will also be held during National Night Out, and as in the past, members of the Cranford PBA Local No. 52 will be present to provide refreshments. Residents and visitors may also obtain information about the Township’s many youth, educational, safety and public awareness programs. The event is being coordinated by Detective Kelly Rieder, who can be reached at 908-709-7344. The City of Elizabeth and Mayor J. Christian Bollwage will be holding its 33rd annual National Night Out from 6-8 p.m. Tuesday, August 2 at Carteret Park, near the intersection of Elmora Avenue and Murray Street. The event will feature health, safety, and security exhibits, free refreshments, and demonstrations, as well as citizen awards, music, and more. For more information, call 908-820-4238. National Night Out festivities will directly precede an installment of the Borough’s Free Summer Movies in the Park, as “Cinderella” (2015 version) will be screened at 8 p.m. on Tuesday, August 2 at LaGrande Park. The event will feature free refreshments, games, raffles, a dunk-a-cop booth, bounce house, and Union County dispatch 911 table, and the Fanwood Fire Department and Rescue Squad will have equipment available for children to take photographs with. The Garwood Police Department will be sending personnel, patrol vehicles, and tactical equipment to the Union County Board of Chosen Freeholders National Night Out event being held at Meisel Park in Springfield (see below for details). The police personnel will also have DWI goggles on hand for demonstrations. National Night Out will be held from 5-8 p.m. on Tuesday, August 2, with all events to take place at the Hillside Community Center, 285 Hillside Avenue. National Night Out will take place from 5-7 p.m. on Tuesday, August 2 at the Raymond Wood Bauer Promenade, 400 North Wood Avenue. In the event of inclement weather, the event will take place at the John T. Gregorio Recreation Center, 330 Helen Street. The Linden Police Department will be participating and there will be free refreshment, entertainment, and giveaways. The Mountainside Police Department will be sending personnel and vehicles to the Union County Board of Chosen Freeholders National Night Out event being held at Meisel Park in Springfield (see below for details). National Night Out will be celebrated in the borough from 6-9 p.m. on Tuesday, August 2 in Centennial Park, adjacent to Borough Hall at 360 Elkwood Avenue. Members of the public are invited to join the New Providence Police Department, Fire Department, Emergency Medical Services, and Lions Club, as borough police officers, firefighters, and emergency medical technicians will have their equipment on display and will be on hand to interact with the community. Refreshments will be provided by the New Providence Business and Professional Association and entertainment will be provided by Al Elefante. A bounce house, dunk tank, face painting, and a magician will be present as well. Children under the age of 18 will be eligible for a free chance to win a Microsoft Xbox One, and other free prizes will be available for people of all ages, donated by Ricciardi Brothers, Providence Bar and Kitchen, New Providence Hand Car Wash, Skin Deep Spa and Salon, and Martial Arts for Life. JCP&L also graciously donated $500 to help sponsor the event. The City of Plainfield will once again host its annual National Night Out from 6-8 p.m. Tuesday, August 2 at City Hall Plaza and Parking Lot, 515 Watchung Avenue. This year the event will service low-income students in Plainfield by providing at least 400 free backpacks and sets of school supplies. In addition to the backpacks campaign, there will be a car show, kids’ zone, live music, refreshments, and demonstrations by the Plainfield Police Division and the Plainfield Fire Division. All residents of Plainfield are encouraged to attend, and anyone seeking to donate is being asked to please contact Plainfield Action Services at 908-753-3519. The Rahway Police Department is inviting members of the public to join its National Night Out festivities scheduled for 6-8 p.m. on Thursday, August 4 at the intersection of Elizabeth Avenue and Irving Street. The event will not occur on the traditional first Tuesday of the month in order to allow it to coincide with the Rahway Mayor’s Summer Concert Series, which kicks off at 7:30 p.m. on Thursday, August 4 with The Company Men, a nationally recognized pop vocal group that has appeared on numerous national television shows. They will be joined by local performer and opening act Paris Williams. The summer concerts take place directly outside of the Union County Performing Arts Center at 1601 Irving Street each Thursday night in August. In the event of inclement weather, the concerts will be held inside the Union County Performing Arts Center on the venue’s main stage. The Rahway Police Department has traditionally used National Night Out as a platform for recruitment for our volunteer groups. Please contact Detective William Eicholz at the Community Relations Office at 732-827-2079 for more information. National Night Out festivities will take place starting 5 p.m. on Tuesday, August 2 at West 2nd Avenue and Pine Street. Free refreshments, entertainment, and prizes will be available. The Borough’s 16th annual National Night Out and free town-wide picnic will take place from 5-9 p.m. on Tuesday, August 2 at the Casano Community Center, 314 Chestnut Street. There will be live music, free refreshments, and giveaways. 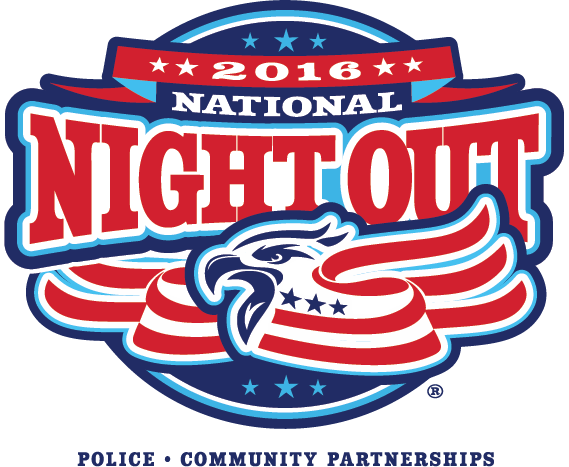 National Night Out will take place from 6-9 p.m. on Tuesday, August 2 at the Alan Augustine Village Green, 430 Park Avenue. Sponsored by The Espeland Group, Allstate, and K9 Resorts, the event will feature giveaways and vehicle and equipment demonstrations by the Scotch Plains Fire Department, Rescue Squad, and Police Department SWAT Unit and K9 Unit. The Scotch Plains-based band The Broadcasters will provide live music throughout the event, and there will be free inflatable rides and other amusements for children. The Springfield Police Department will be participating in the Union County Board of Chosen Freeholders National Night Out event being held at Meisel Park in Springfield (see below for details). National Night Out festivities will take place from 6-9 p.m. on Tuesday, August 2 at the Summit Village Green, 356 Broad Street. A rain date will be scheduled for the same time the next day, Wednesday, August 3. Food trucks are scheduled to open at 6 p.m., with a bike show featuring Chris Clark set for 6:15 p.m. and a World of Rock concert at 7 p.m. There will also be a blessing of the badges, a guitar giveaway, dunk-a-cop for a cause, obstacle course, bounce house, fitness demonstrations, free hot dogs, and displays and demonstrations by the Summit Police Department, Fire Department, EMS, Public Works, Department of Community Programs, Free Public Library, PAL, Police Youth Academy, Elks Club, YMCA, and D.A.R.E. There will also be displays and demonstrations by the Union County Division of Youth Services, Union County Emergency Response Team (UCERT) SWAT Unit, Union County Sheriff’s Office Crime Scene Unit, NJ Transit Police, New Jersey Forest Fire Service, New Jersey U.S. Army National Guard, New Jersey State Police Aviation Unit, Truck Unit, and Traffic Unit; and the U.S. Coast Guard, U.S. Postal Inspection Service, U.S. Customs and Border Protection, and the FBI Response Team and Prescription Drug Fraud Team. Also participating in the festivities will be numerous local vendors and community organizations. The Union County Board of Chosen Freeholders announced this week that its National Night Out festivities will begin at 6 p.m. on Tuesday, August 2 at Meisel Park on Meisel Avenue in Springfield. The main sponsor of the event is Investors Bank. The event will begin with free activities including inflatable rides, games, and live music, with County emergency vehicles and equipment staged on site for children and their families to explore up close. Members of the Union County Sheriff’s Office will also be on hand to offer parents an opportunity to have their children’s fingerprints taken, and the Union County Police Department will have specialized equipment and representatives from its Bomb Squad along with other vehicles and personnel on site as well. The Union County Prosecutor’s Office executive staff members, assistant prosecutors, and detectives will also be present. National Night Out will be held from 5-9 p.m. on Tuesday, August 2 at Union Township Police Headquarters, 981 Caldwell Avenue. Complimentary food and drinks will be available, as well as a disc jockey, bounce rides, and free face painting for children. There will also be a dunk-a-cop tank and demonstrations by the Union Township Fire Department, Emergency Medical Squad, Emergency Response Team, and Police Department Motorcycle Unit. In addition, there will be a DWI tricycle demonstration and a tae kwon do demonstration, as well as a photographer on hand for children to pose for photos in a police patrol car. There will also be tours of police headquarters available, as well as tables with safety information and giveaways sponsored by the Union Township Target, the Automobile Association of America, Walgreens, the U.S. Coast Guard, the Union Township Police Department ID Unit, the Department Police Family Relations Bureau, and Union Police D.A.R.E.